The World Cup is now a matter of weeks away. Squads have been announced, bets have been made and football shirts across the world are starting to get ironed, hidden away for the last four years. This year will be more interactive than ever before and most people will have multiple apps downloaded to keep up-to-date with all the latest results and news. Forget peeling and not knowing where to put the hundreds backs of stickers you need to dispose of, Panini have released an official app, where you’re handed free packets every day. With the price of packets all over the news, this seems like a much cheaper alternative to start getting World Cup fever, and the best thing is, you can still do swapsies! It’s the app that takes you back to your childhood and is a must for any World Cup fan. More money is spent on betting on the World Cup than ever before, so if you want a decent payout you need some decent tips and offers. 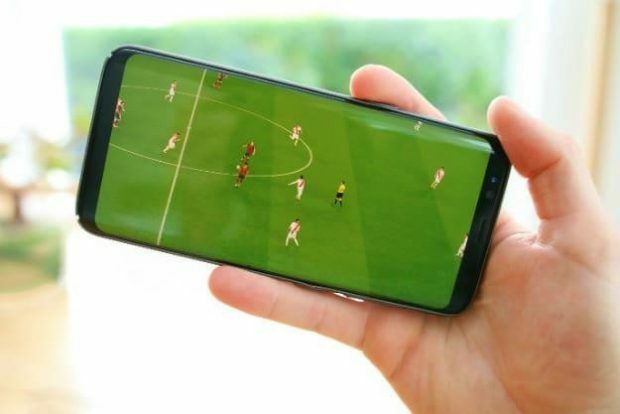 Downloading a betting app will enable you to get betting tips direct to your mobile, as well as giving you an easier way to bet on the go and in-play. FIFA will naturally be the go-to place during the World Cup for all the latest news, results and video content. It’ll be the official outlet for anything breaking, so if you want news first, this is the app for you. Every nation is covered, whether an England fan or hailing from Panama you’ll be kept up-to-date ahead of each and every fixture. Focussing on the big match rather than Big Mac, McDonald’s is the official sponsor of the Russia 2018 fantasy football and with games coming thick and fast you really do need an app to keep your squad in the running for the top spot. You won’t be able to select your team until all the squads have been announced, but it’s well worth downloading in advance as a little reminder. Whether it be the BBC or Fox Sports, whichever TV station is broadcasting the World Cup, it’s worth downloading their app that allows you to stream live TV. The World Cup always brings some awkward kick off times, so being able to watch on the go is an absolute must. If you’re unsure of which station the World Cup is on in your country, this handy guide will help you out.